Autologous serum therapy is a promising therapy for treatment resistant urticaria. This is useful in developing countries as this is economical option. 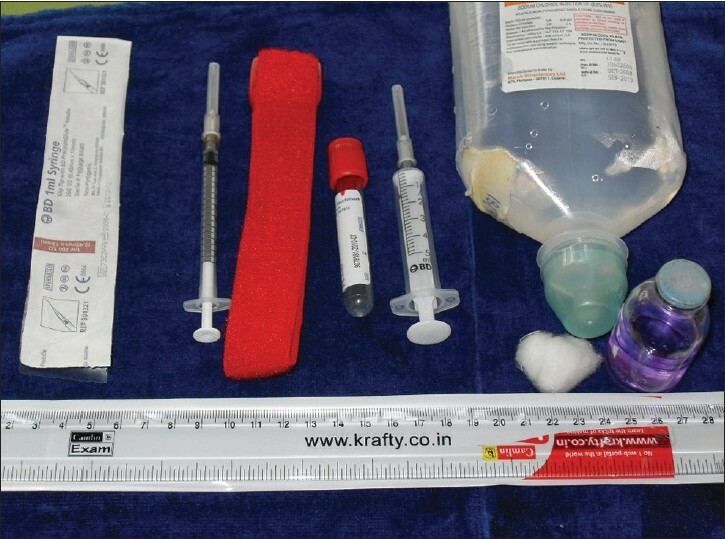 Minimum instruments like centrifuge, syringe and needles are required for the procedure. Chronic urticaria (CU) is a very common distressing dermatosis to the patient as well as to the physician. It is characterized by spontaneously occurring, short-lived and itching wheal-and-flare-type skin reactions. CU is caused by autoreactive mechanisms in approximately 30-50% of all patients (autoreactive CU, arCU). arCU patients show an immediate hypersensitivity-type skin reaction after injection of their own serum. It has been shown that in some arCU patients, expression of autoantibodies directed against the high-affinity receptor for IgE (anti-Fcɛ RI) of mast cells or IgE (anti-IgE) is responsible for this phenomenon. Auto-haemotherapy can induce tolerisation/desensitisation of arCU patients to the proinflammatory signals expressed in their circulation. A study by Staubach, et al. has shown that auto-haemotherapy is effective in autologous serum skin test (ASST)-positive CU. This economical therapy could be effective in treatment of resistant urticaria in patients who are ASST(+). We have found encouraging results in a small study. After taking written consent of patients, we started this therapy by giving weekly intramuscular injections of patientsʼ own serum (0.05 ml per kg body weight) in the gluteus muscle. Urticaria activity score (UAS) comes down within few weeks and patient's requirement of anti-histamine is also reduced remarkably. If there is no response after nine injections, treatment is discontinued. Sterile injection technique is recommended. Proper labeling and injection technique is advised to avoid transfer of infections. ASST(+) patients are benefited. The exact mechanism of this therapy is still not known. Collect 5 cm 3 of blood in a plain (red top) vacutainer. 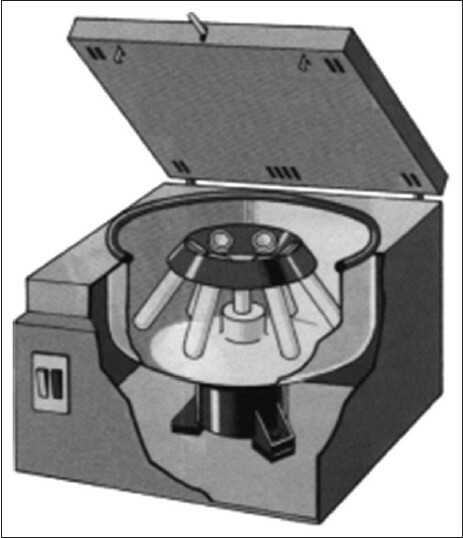 Centrifuge at 3000 r.p.m. for 10 min. Use a 5 cm 3 syringe and separate serum, and inject 2.5 ml of the serum deep intramuscularly into the gluteus muscle with a 22 no needle. Repeat the procedure for 8 weeks; later, fortnightly injections are advised. We gave AST to 20 ASST(+) patients (M: F = 12:8; age range = 20-45 years; duration of disease = 6 months to 5 years). 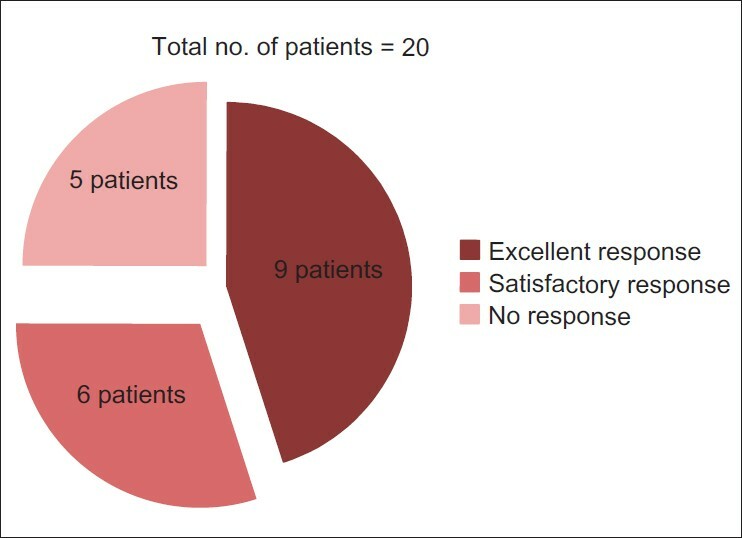 There was excellent improvement seen in nine patients in terms of decrease in UAS and improved Dermatology Life Quality Index (DLQI), whereas six patients did not show satisfactory response and five patients showed no response [Figure 3]. 1. Pittler MH, Armstrong NC, Cox A, Collier PM, Hart A, Ernst E. Randomized, double-blind, placebo-controlled trial of autologous blood therapy for atopic dermatitis. Br J Dermatol 2003;148:307-13. 2. Behl PN. Autohaemotherapy. In: Practice of Dermatology. 7 th ed. New Delhi Oxford Blackwell Scientific publications; 1990. p. 76. 3. Staubach P, Onnen K, Vonend A, Metz M, Siebenhaar F, Tschentscher I, et al. Autologous whole blood injections to patients with chronic urticaria and a positive autologous serum skin test: A placebo-controlled trial. Dermatology 2006;212:150-9. 4. Bajaj AK, Saraswat A, Upadhyay A, Damisetty R, Dhar S. Autologous serum therapy in chronic urticaria: Old wine in a new bottle. Indian J Dermatol Venereol Leprol 2008;74:109-13. 5. Chopra A, Mamta, Chopra D. Autohaemotherapy in chronic urticaria. Indian J Dermatol Venereol Leprol 1995;61:323-4. 6. Kocaturk E, Aktas S, Türkoðlu Z, Kavala M, Zindanci I, Koc M, et al . Autologous whole blood and autologous serum injections are equally effective as placebo injections in reducing disease activity in patients with chronic spontaneous urticaria: A placebo controlled, randomized, single-blind study. J Dermatolog Treat. 2012;23:465-71.